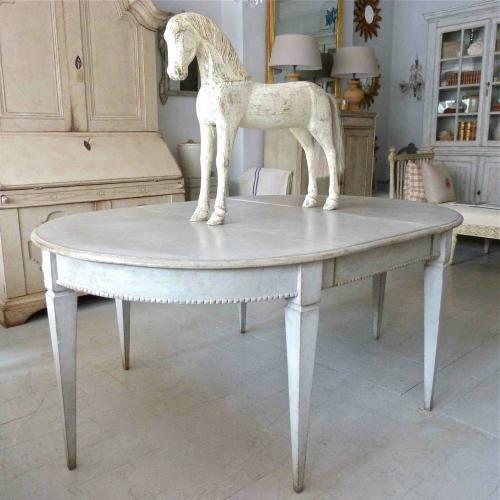 A fine example of a late 19th century Swedish Gustavian style extending dining table with its original leaves, decorative tapered legs and carved apron. Later paint. A practical piece of antique furniture that can be used as a round table seating four, or extended with one leaf to seat six people, or by two leaves to seat eight people comfortably. Circa 1880 - 1890. Length with one leaf 170cm. Length with two leaves 220cm.